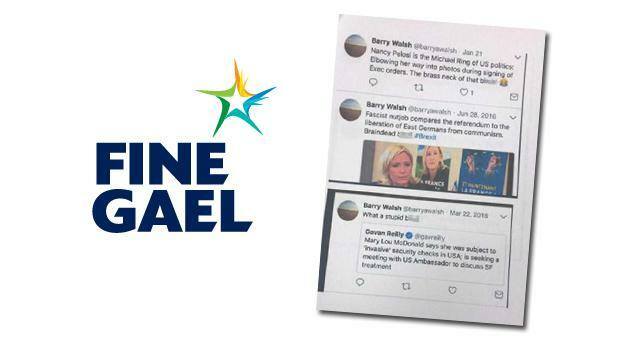 Social media is rewriting the rules of politics but this week Fine Gael is finding itself at the centre of an unwanted storm. A member of their executive council has been the subject of a complaint over alleged abuse against a number of people. In particular Barry Walsh has targeted the voice of TV3’s ‘Blind Dates’ Tara Flynn and the controversy is top of the agenda for today’s Floating Voter. On this week’s episode INM’s Group Political Editor Kevin Doyle is joined by correspondents Philip Ryan and Niall O’Connor. Philip argues “troll shaming” is welcome and should become common place. Meanwhile Niall sets the scene for Sinn Féin’s Ard Fheis which takes place in Dublin this week, predicting that Gerry Adams will signal his intention to step down as party President in the near future. And the team discuss why Taoiseach Leo Varadkar and the Government are attempting to fight back against the negative publicity around the housing crisis.